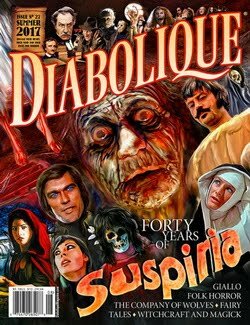 ‘The Battery’ reminds me of the kind of low budget independent horror filmmaking in the 70’s Golden Age of cinema during the transitioning of the genre from the gothic to the modern. This is in the respect of how these young filmmakers with guts and vision were banging and kicking the door of Hollywood and smashing right through it with their energetically powerful films. 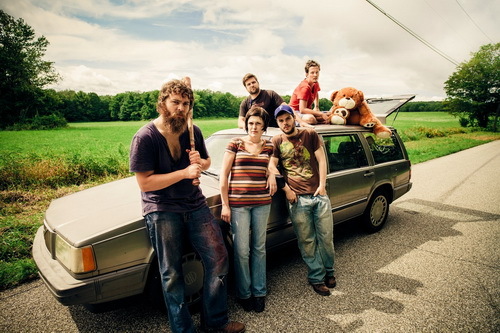 Two former baseball players Ben (Jeremy Gardner) and Mickey (co-producer Adam Cronheim) travel the rural back roads of New England, Connecticut as they make their way through the terrifying dangers that surrounds them in a post-apocalyptic world after a plague has caused the dead to return to life taking over the earth as they feed off the living. The young men only knew each before on the field never socializing and have polarizing personalities forced into this turmoil together. These two very different people clash with opposing views of how they see this doomed planet causing them to be become often alienated to one another and faced with life threatening situations they must also survive each other. 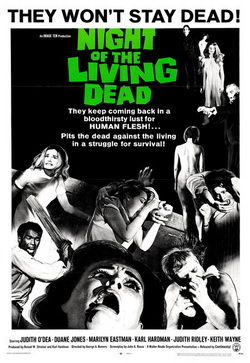 What writer, director, co-producer and co-star Gardner (Ben) has created here is essentially a buddy road movie using a zombie post-apocalyptic world as its backdrop as the very Romeroesque zombies are relegated to the background with no gory depictions of these undead tearing apart the living and eating their flesh and no shots of blown apart zombie head splatter. Although, they never feel a lesser threat because of this as there is a constant air of dreaded melancholic hopelessness throughout. This is not a story about combating the zombie epidemic and the crumbling of society but set during it this is a slow burn character study piece framed in such way with wide shots for long take scenes with the warmth of an emotional lending to the material. We watch two very different average young men lock horns over their plight as Mickey (Cronheim) longs for the world he knew before and tries to shut himself off from the grim reality by losing himself in music with the CD Walkman he carries and refuses to take part in killing the flesheaters. More brutish in nature Ben has become accustomed to the fact that the world will never be the same again with his mentality adapted to just surviving doing all the zombie killing while retaining his sense of humour. The film’s title ‘The Battery’ relates to our protagonists’ previous profession as baseball players, as it is a term used to describe collectively the pitcher (Mickey) and the catcher (obviously Ben) to indicate the combined effectiveness of their playing positions. However, whereas they had an understanding of each other on the field this work ethic does not carry over to their working together on their journey through this dead world now they are forced to deal with each other intimately on a personal level in their horrid predicament. The title could also possibly be a double entendre in relation to Mickey’s constant burning through the batteries of his Walkman as featured heavily music plays an important part here as Jeremy Gardner combines an obvious passion for it with his filmmaking utilizing a wonderful soundtrack with a mix of diegetic and non-diegetic Canadian folk rock and American electronic music. The former mentioned genre matches the tone of the movie and is used as a tool to be heard over montages of travel shots. The latter is used through the motif of Mickey listening to his headphones serving to juxtapose the harsh environment he is in as he tries to escape it by losing himself in music. I have many recommendations from the fantastic songs that score these scenes with the contributing artists of El Cantador, The Parlor, Rock Plaza Central (also including solo material by frontman Chris Eaton), Sun Hotel, We Are Generic and Wise Blood. The original score by Ryan Winford also has an immensely effective impact on the overall tone of the film. One highlight is Ben’s brilliant drunken dance scene listening to Christ Eaton on Mickey’s CD Walkman amongst many other stand out moments that I will leave spoiler free. Everything is handled with complete naturalism. These two everyman characters feel so us so instantly relatable due to the chemistry of two very strong central performances really bringing out the strengths of its character driven screenplay. They really draw our sympathies with an honest heartfelt emotional pull, pitch-perfect humour with witty banter and real human drama delivering sharp dialogue. There are many exceptionally directed poignant, suspenseful and tense scenes entailing the two’s disagreements, dealing with the horrors of the undead and confrontations with other people who are also dangerous posing just as much of a threat if not more so. Mickey’s refusal to do any of the killings of the zombies, putting all the pressure on Ben to do it only tightens the strain on their friendship that would not have happened under normal circumstances with these contrasting personalities and provides the movie with some of its most emotionally passionate scenes. Even moments that are so ordinarily mundane such as Ben and Mickey cleaning their teeth is made riveting viewing as the audience is made to live and wait with the characters as they do everyday kinds of things and through more significant dramatically tension filled scenes such as in the film’s climax. As in most zombie apocalyptic stories, the real monsters here are the remains of humanity from the ruins of society. Here it comes in the form of a seemingly safe haven for survivors referred to as “The Orchard”. Its people deny them help yet Mickey still desperately wants to find in the hope of living as close to a normal life as he did before. Purposely avoided, we do not actually get to see “The Orchard” as it is another zombie cliché to have an Eden that is too good to be true with sinister goings on such as Woodbury in ‘The Walking Dead’. Gardner instead smartly uses this as a plot device as a motivation for Mickey in his want for a better life than keeping on the move and scavenging that dictates the events of that claustrophobic climax. Ben however believes that roaming is the best way to protect themselves and survive. Produced on a micro budget of $6,000 and shot in just 16 days all this and New England’s gorgeous locations of fields, forests, lakes, waterfalls and woods is captured on a Canon 5D Mark II camera by director of photography Christian Stella (also a co-producer) with some of the most beautiful finely textured visually rewarding cinematography I have ever seen in a low budget feature. This is supplemented by the smoothest of editing by his sister Alicia Stella and Michael Katzman. 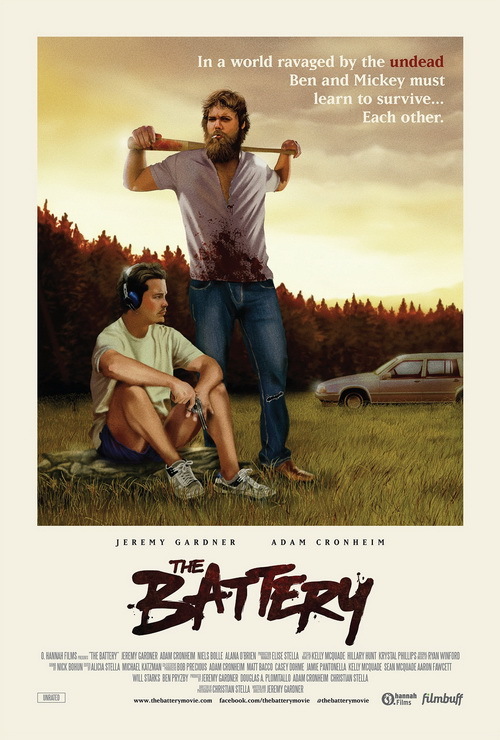 ‘The Battery’ is of course a very different kind of zombie horror compared to George A. Romero’s ‘Night of the Living Dead’ but like that movie at the time this is a bold and brave reinvigorating new spin on a now stale sub-genre. This ambitious indie production is certainly a much-needed injection of adrenaline taking full advantage of its budgetary limitations by working to full effect on its simplicity and on an extremely minuscule budget to achieve such high quality production values and such high emotional dramatic levels with its humour and soul is a staggering feat of an accomplishment. The hugely talented Jeremy Gardner, Adam Cronheim and Christian Stella form the core of O. Hannah Films and their passionate determination has overcome the financial obstacles that were laid out ahead of them having triumphantly crafted with much skill what is one of the greatest modern zombie films.